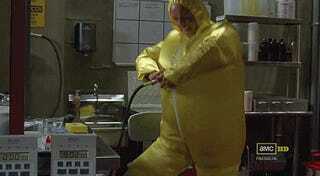 I gotta work during the Breaking Bad finale. In fact, I won't be able to see it until Wednesday. Wednesday. There's no way I'll make it without spoilers. I was looking for "angry Jesse Pinkman gif" but found that instead.